beautiful text donna and your card is fabulous. love the flower and butterfly too. I love the colors Donna!! 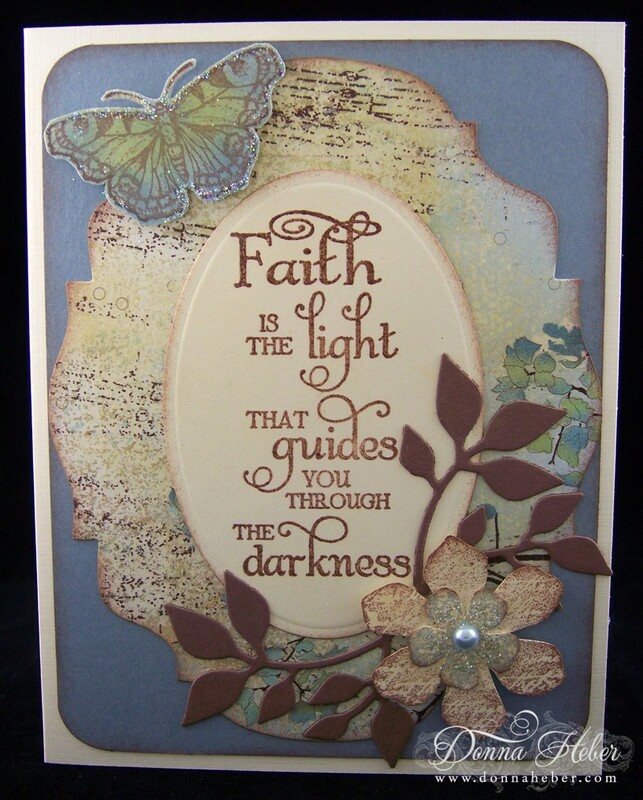 Such a beautiful card Donna and exquisite details and embellishments! Donna this is a beautiful card and a lovely sentiment. TFS! Donna, what a gorgeous card! Those leaves just go so perfectly! 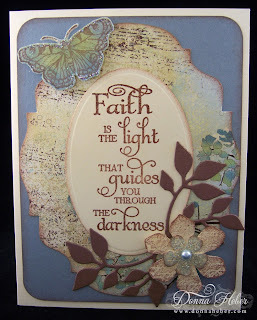 I love your colours and that beautiful paper and sentiment! Such a pretty card. Your sense of color is evident. What a beautiful card Donna!! Such pretty colors, very elegant looking. Love the purple cone flower and butterfly on the left side of your blog too. Please stop on over at my blog, I have something for you!! Thank you!! Stunning card Donna! Great layers of flowers with a sweet touch added by the butterfly! What a beautiful and elegant card. I love how you ink the edges-it looks so smooth. What a great card. I like the layered elements and techniques that you used to pull it all together.